Whether you have been playing for years or are just beginning, our outstanding teachers are here to help you progress on your musical quest—no matter your age. 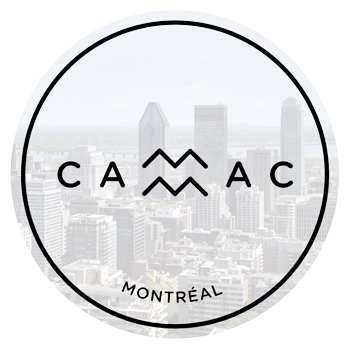 At CAMMAC, we promise you a relaxing, non-competitive environment, where you can play, meet people who share the same passions, learn from dedicated teachers, and discover new repertoire in our workshops and concerts. Can’t read music? No problem! Pair up with a veteran singer and follow along easily! Our goal is simple: for you to immerse yourself in our musical environment and have fun. No small feat—but we are proud to say new recruits often tell us CAMMAC has changed their lives! Over the summer, you can choose from seven different week-long programs at the Music Centre, each with its own theme: classical music, chamber music, jazz, Broadway, choir, Celtic music, and orchestra. Each week, the following courses are also offered: recorder, choir, chamber music or small ensembles, percussion or Orff, dance, and yoga or drawing. You can also choose to sign up for our Thanksgiving weekend. Finally, grandparents and grandchildren are invited to come spend an unforgettable March Break with us in the beautiful Laurentians! Baroque Music With Canada’s top early music specialists! CAMMAC is the best musical experience I have ever had. Renaissance and Baroque dance was great exercise! A brilliant choral conductor – please bring him back! Exceptional. Teaches with a lot of patience and sensitivity. Personable, knowledgeable, supportive, encouraging. Wonderful singing in small vocal ensemble. A big hit with both the adults and the children. Great small ensemble coaching – we learned so much. The opera workshop is an EXCELLENT addition. A wonderful week. My only regret is that it couldn’t last. I learned so much each day. About the teachers: So patient and encouraging! Excellent as always. Inspiring. Great job on coordinating the chamber groups. A truly an amazing voice coach. Always organized and approachable – loves all aspects of their teaching job. Loved it! Great experience for the whole family! A magical bubble of perfection in a turbulent world. CAMMAC shows us how to be good people through the medium of music. Encouraged me to participate …and I was SO delighted to do it! Teachers are extremely talented and also very kind. I love CAMMAC and would not change a thing. The non-musical courses at CAMMAC, as well as the beginner music classes, are essential for people like me who are not so advanced in music. The teaching and programming are the strength of CAMMAC. Very enjoyable teachers to learn from and play with, I learned a lot. I truly enjoyed being so imbued in nature and music – a winning combination. I felt welcomed. Nothing I read or heard prepared me for the excellence and warmth at camp CAMMAC. Exceptional plus – such a gifted teacher on so many dimensions (technical, musical, emotional…). This was my first exposure to operetta and I thoroughly enjoyed it. Final concert was a joy. A very efficient teaching technique and it was a joy to be part of this class. Imagine making solfege a fun learning experience! A fantastic week, as always. Can’t wait for 2018! It is heavenly down at the boathouse as the sun sets Thank you as always for a truly magical week. Had a lovely time and truly appreciated the excellent quality of the teachers and the overall wonderful sociability of the participants. And see you for week 7 next year (I hope!!!). Always a great experience to sing in small groups. Outstanding musically, great sense of humor – it’s always a treat. One of my all-time favourite conductors: very directive, organized, good natured, and a fine musician. What a treat! I love the Broadway productions! Makes great connections with students. 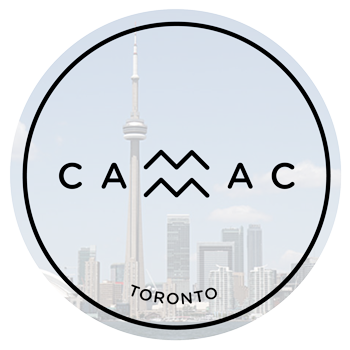 Curious to learn more about the CAMMAC Music Centre? Through our OPEN HOUSE Wednesdays, from July 5 to August 1 2018, newcomers can discover CAMMAC and experience a day with us in the Laurentians ! Just bring your violin, your bathing suit and your smile, and participate in all the great activities CAMMAC has to offer including instrument courses, choir singing, tennis, swimming and even attend an evening concert! Meals are available at our cafeteria at modest prices. 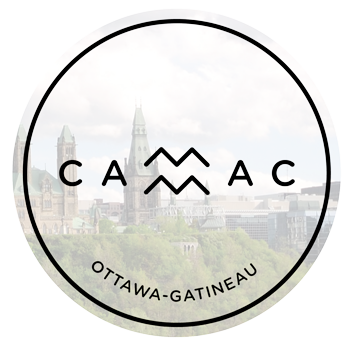 Reserve your spot for one of our OPEN HOUSE events by contacting us at communications@cammac.ca You must book at the latest on the Sunday preceeding your visit. Full program each week for children aged 4½ to 11. Teens participate in the adult program, as well as enjoying some courses tailored to them (teen choir, Broadway singing/dancing/acting). Prolong the CAMMAC experience all year round! Three CAMMAC regions contribute to a lively amateur music making scene throughout the year. These regions promote many activities that are unique to each and include workshops, orchestra sessions, masterclasses and sight-readings. The regional committees are run by a great team of volunteers, which you can join. Click on the links to see what each region offers.